The following story is from our sister publication, The Manchester Mumbler, based in Manchester, UK. Comet 67P’s ruling matriarchy transmitted a protest to The European Space Agency hours after the Philae lander touched down. According to sources within the agency, the rulers are not happy with the shirt worn by ESA research scientist Matt Taylor during the landing. The shirt depicts scantly clad women in versus provocative poses. For reasons that are still not clear, Taylor wore the bowling shirt during the live broadcast and during interviews. 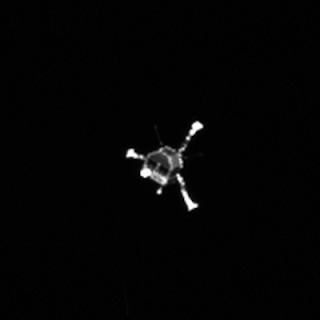 The rulers claimed responsibility for moving Philae into shaded area. The sources claim that the European Union is currently debating how to respond to the Matriarchy’s protest. When asked to comment, an unnamed spokesperson for ESA denied they agency was in contact with any intelligent life on the comet.